One of the major problems with addressing annoying and conflicting behaviors before they escalate to the level of aggravation is the dynamic manner in which they affect teachers and students. An annoying behavior at one time can lead to aggravation, while the same annoyance can be easily ignored other times. Some days a teacher, because of the many facets of human nature and dynamics of the classroom, is able and willing to show more tolerance and patience. 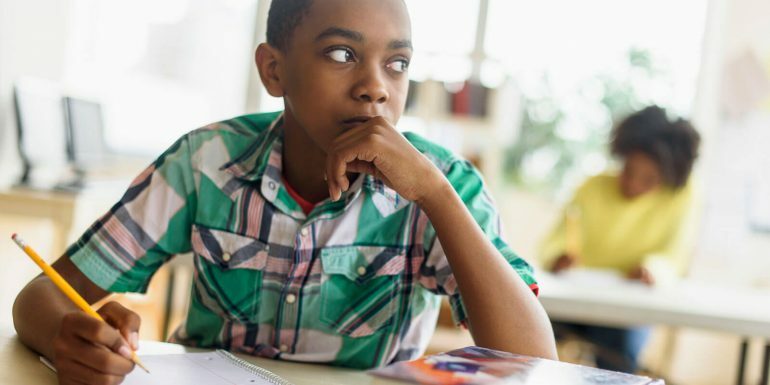 Even more frustrating and confusing for students, aggravating behaviors of one student might be overlooked more often than when the same behavior is exhibited by another student. This can happen because of bias, teacher preferences, other students’ reactions to the behavior, prior behavior history, or the level of disruption accompanying the behavior and its duration. Some behaviors that are acceptable of young children and considered part of the maturation process become aggravating and unacceptable with age. Pouting, tattling, and whining are perfect examples of annoying behaviors that become major aggravations and cause significant conflicts with age when students are expected to demonstrate more self-control, acceptable replacement behaviors, and coping mechanisms. When exhibited repeatedly and consistently over time, the annoyance becomes an aggravation that tests the patience and self-control of the teacher and other students. So if the behavior is so annoying and causes so much conflict, why does it occur so frequently? Well, for one, it’s rewarding for the students exhibiting the behavior and usually for their audience. They get the attention they craved. There is also a sense of power or control gained when you are the one getting all the attention and focus while inflicting others with embarrassment, fear, or intimidation. Exhibiting negative behavior in a classroom setting tends to elicit attention more readily and consistently than what occurs when exhibiting positive behaviors since teachers typically focus more on the negative behaviors. The short term satisfaction gained is more valued than the impending consequences. Students might also be using the behavior as an avoidance technique to delay working on an undesirable task, a task that they perceive as too difficult or challenging, or one that others might perceive them as struggling in academically, physically, or socially. Teachers can make mistakes when trying to correct these types of behavior causing the problems to escalate and become major classroom disruptions. Since these aggravating behaviors often provoke emotional reactions in teachers, the result is typically an attack on the individual and not the behavior. Teachers often resort to yelling or even using sarcasm and humiliating language in hopes of embarrassing the student enough to stop the behavior. Teachers often engage in argumentative exchanges that produce power struggles, or threaten and plead with students for compliance. Others try to ignore the behavior which typically prolongs it and engages more students as the audience. Other missteps are getting classmates involved for influence or support and encouraging them to ostracize or gang up on the student for retaliation. Some teachers resort to making threats or consequences that cannot be enforced or are inappropriate for the behavior like keeping everyone after class or assigning the whole class extra work. The vast majority of teachers will tell you these techniques seldom work. Teachers should acknowledge students’ feeling when they are upset and listen to their concerns. Try to use a mild manner and positive body language and tone. Ask more “what” questions to get to the root cause of the problem (What is upsetting you? What are you doing? What should you be doing? What are our expectations?) “Why” questions are more accusatory and blaming and often get the response, “I don’t know,” which leads to additional frustration. By establishing a respectful environment and calmly but consistently disallowing sarcasm, put-downs, and name calling on each and every occasion they occur will reduce the frequency. Students will quickly learn it is not an acceptable behavior in your classroom. Self-removal to a quiet location in the room, etc. If you model a consistent, equitable, and definitive approach when dealing with difficult behaviors, you will be better able to address and resolve troublesome issues in the classroom.